A fun name and an easy rum and pineapple martini, the Yaka Hula Hickey Dula is a cocktail you won't want to miss! This tropical drink, which was inspired by the Hawaiian song of the same name, is perfect for island getaways and tropical cocktail parties. The cocktail recipe is incredibly simple. You'll simply pour dark rum, dry vermouth, and pineapple juice in equal amounts. It creates a wonderful drink that's slightly drier than the average rum cocktail, a perfect venue for the bright fruit flavor. While it's customarily shaken, this is also a great mix for the blender. Try it both ways and get ready to hula! In a cocktail shaker filled with ice, pour the rum, vermouth, and pineapple juice. A cocktail like this really deserves a great dark rum. It's also a convenient excuse to explore bottles that may be new to you. Some recommendations include Papa's Pilar Dark 24, Plantation Original Dark, and Zacapa 23. For bottles more in the $20 price range, the go-to favorites of Goslings Black Seal and Myers's Original Dark are good choices. For the dry vermouth, the key consideration is that it's fresh. Once the bottle is open, the fortified wine will begin to go stale after a couple of months. If you use it only on occasion, get in the habit of dating the label (month, year) when you crack a bottle and pick up a replacement whenever two or three months have passed. Fresh pineapple juice is going to produce a better tasting cocktail. If you don't have a juicer, muddle a few chunks of the fruit very well, then strain out the solids. It won't take much to get 1 1/2 ounces. If you're going to buy pineapple juice and don't drink it often, go with small cans. This will eliminate waste because the large cans are difficult to seal well enough to keep the juice fresh. The other popular serving option is to blend this cocktail: Combine the ingredients in a blender with 3/4 cup ice (about 4 cubes) and blend until smooth. Pour into a chilled hurricane glass. 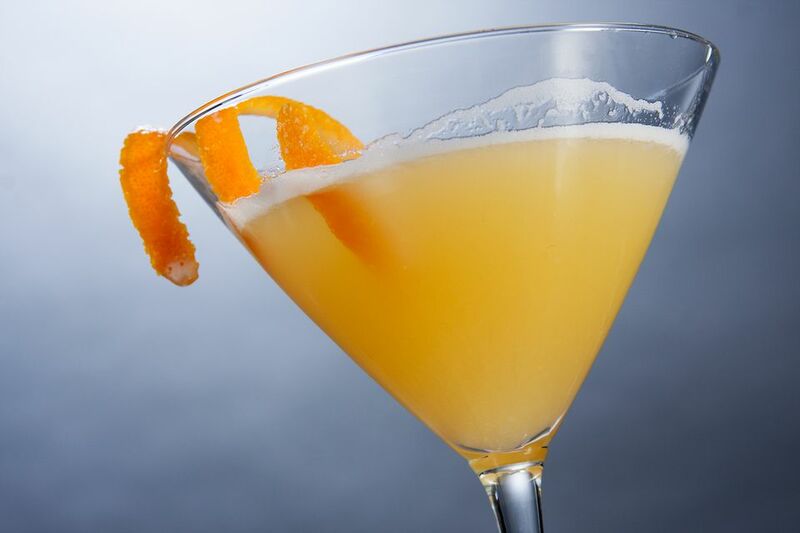 For a garnish, place a chunk of pineapple on a cocktail pick or drape a long orange peel over the rim. Then again, in pure tiki cocktail fashion, you could go with both or really go all out and pile on all sorts of fruit, especially for the frozen version. How Strong Is a Yaka Hula Hickey Dula? Pouring an equal amount of pineapple juice helps keep this cocktail in a comfortable range as far as alcohol content goes. It's neither too light nor too strong, weighing in around 17 percent ABV (34 proof) when made with 80-proof rum.